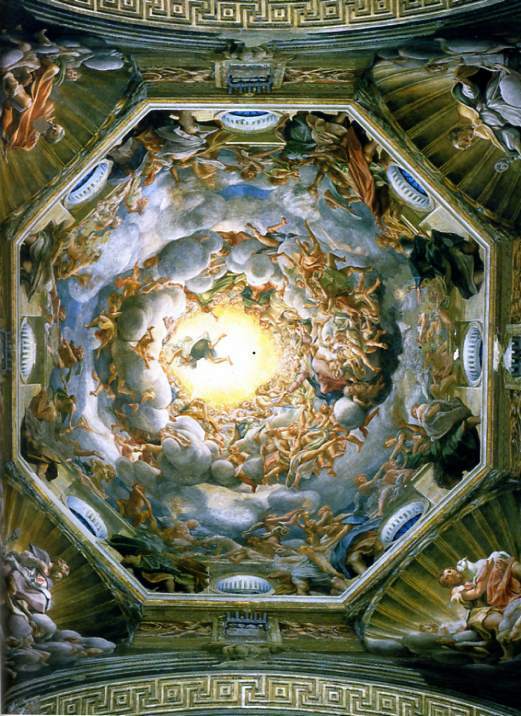 Correggio's painting is a swirling mass of figures. These are angels who guide the Virgin upwards. They sing and play musical instruments and below stand the apostles who gaze in bewilderment at the scene. In the centre of the composition, Jesus descends to greet his mother. The base of the dome is decorated with the four protector saints of the city of Parma, these are; St John the Baptist; St Hilary; St Thomas; and St Bernard. 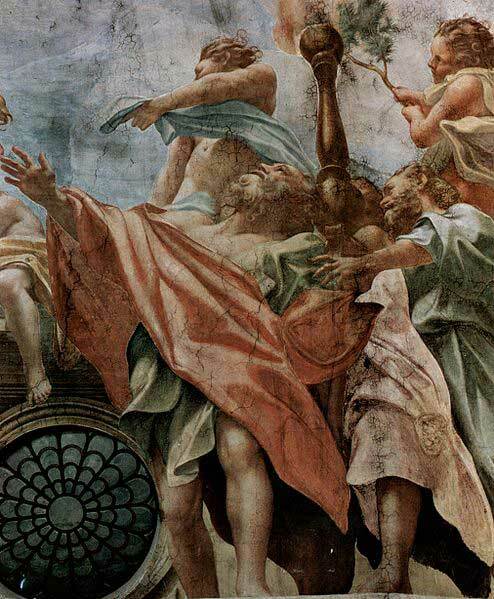 The bold foreshortening effects are thought to be influenced by the artist Melozzo from Forli in Northern Italy. 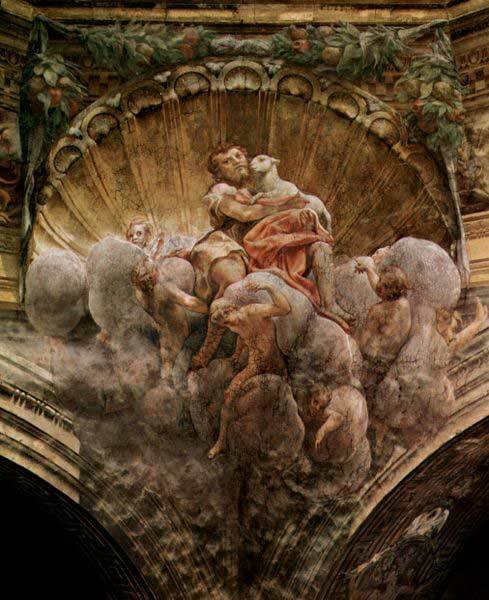 Correggio's painting provided inspiration for the Baroque artist Carlo Cignani who produced his own work on the same theme in the cathedral of Flori.